The other day I wrote about the euphoria of the Who Dat Nation, the newly forged union of New Orleans Saints fans eagerly preparing for their team's first Super Bowl. Over the past week, tensions escalated dramatically between the Who Dat Nation and the National Football League. Things looked grim as it appeared that there would be war between the Nation and the League, but a last-minute concession by the League may have averted disaster. The flashpoint for hostilities was the League's demand that store owners in New Orleans cease and desist selling shirts bearing the "Who Dat" phrase that has become associated with the Saints. 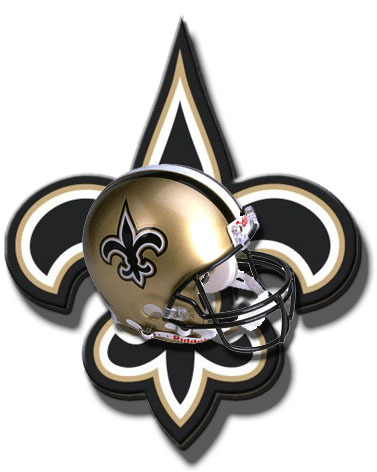 The League may have been objecting to the fleur-de-lis that is a Saints logo, but its original statement was more general, referring to "[a]ny unauthorized use of the Saints colors and other [marks] designed to create the illusion of an affiliation with the Saints . . . ." That did not refer directly to "Who Dat," but did not exclude it either, enraging citizens of the Nation. It turns out to be unclear who do own Who Dat, a phrase and chant that have been around for some time. It is this kind of tragic misunderstanding that can lead to conflict. Late last week, the politicians got involved. Not surprisingly, Louisiana's congressional delegation was unanimous in its support for the Nation. This was a bipartisan effort, as both Sen. David Vitter and his Democratic opponent, Rep. Charlie Melancon, protested the League's encroachment. "Who Dat Nation deserves better," said Sen. Mary Landrieu. She said she was exploring a number of anti-League options. On Friday, the League appeared to back down, arguing that it had never sought to exclude all uses of Who Dat or the fleur-de-lis. "Rather," said a League representative, "the NFL has sent out narrowly targeted letters, challenging the sale of products bearing the the fleur-de-lis and 'WHO DAT'' marks only when those products contain or are advertised using other trademarks or identifiers of the Saints." He said that a store that had been the focus of the initial report on the matter could continue to sell the shirts to which the League had previously objected, as long as it took down certain Saints-themed advertising. Despite this apparent concession, it looked like politicians would continue to fan the flames. A Vitter spokesperson said the senator was pleased that the League was "coming off its original position," but made clear that Vitter was not about to stop milking the issue. "[H]e is continuing to demand," the spokesperson said, "that the NFL drop any claim on the phrase 'Who Dat' under any circumstances." Whether the rest of the Nation will support Vitter in this brinksmanship remains to be seen, but probably it will.